Matt is the founder of Automattic, the company behind WordPress. He’s also a Techstars mentor. 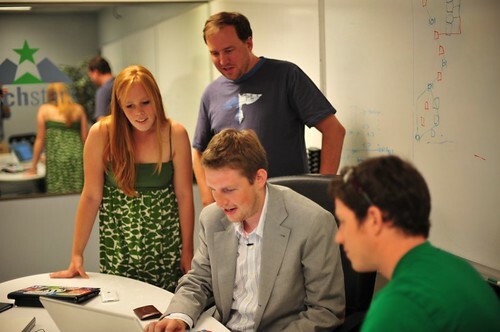 In 2008, Matt was at Techstars during the summer and worked with Foodzie, Ignighter, Gyminee, Occipital and many more. In fact, during that time Matt became Foodzie’s first ever real paying customer, which was all caught on tape by Current TV. You can see more of Matt’s awesome photos of his Summer, 2008 visit to Techstars on his blog. That’s also when Matt first met the founders of Intense Debate, one of the companies that had been through Techstars the year before. Automattic later acquired Intense Debate. We’re thrilled to have such a talented young entrepreneur on board as one of our truly amazing cast of Techstars mentors.